We’ve been having some beautiful days here in Auckland (New Zealand) so thought it might be nice to make our own Christmas tree using leaves. We just collected the leaves from off the trees and glued them onto a pre-drawn Christmas Tree. We had a lot of fun with this one. I pre-drew the Christmas tree onto some Butcher’s Paper ($5 from Kmart) using a black marker. Then basically just glued the leaves on wherever the toddler wanted them to go. I let her do it all, just supervised. She then coloured in the star and I helped do the rest. 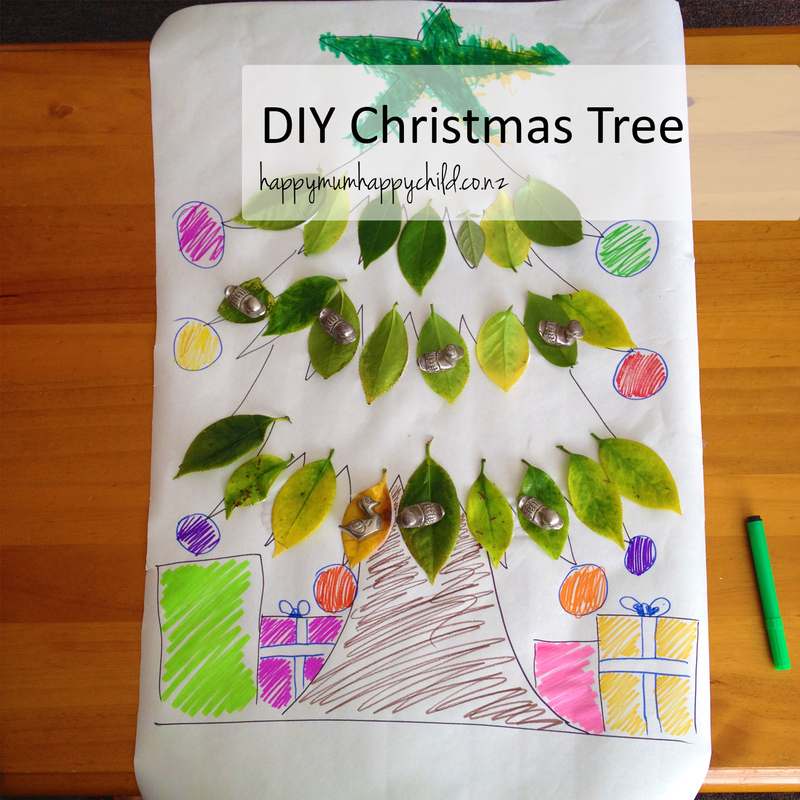 You can also use stickers and other craft supplies on the tree – the world is your oyster! PS the weird silver bird things are actually small duck paperweights that I was using to hold the leaves down while they dried. Leaves are not flat!! !